Windows Updates are by default set to automatic updates and these updates are essential for the smooth running of your operating system, therefore we need to control Windows Updates. These updates include new versions of device drivers and also Windows updates and security patches. Making sure Windows is up to date is definitely part of a strategy for protecting your computer from unwanted invasions. You may have seen that after installing your windows when you run some external devices to your computer such as Mouse & External Hard drive, it wonâ€™t work properly. Windows update will find suitable drivers for your devices & peripherals. 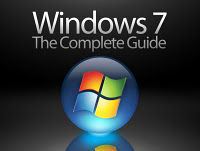 How to Control Windows Updates in Windows 7? The answer to this question is very simple. What you need to do is go to the Windows Updates settings and change the settingsÂ to suit your requirements. Below I have mentioned some steps which will help you decide how to control windows updates which will allow your computer to be up to date without you having to manually do this yourself. Step 1: Go to Start & click on the Control Panel option. Step 2: In Control Panel click on the Category drop down box to select Large Icons for getting Windows Update option. Step 3: Click on the Windows Update option to configure your windows update settings. Step 4: You can simply Check for Updates if Windows Update show you this type of Screen. Step 5: Otherwise Click on Change Settings & do the changes you wish to have for your system. After clicking on the change settings option it will show you the type of window below mentioned. Step 6: Here you can Choose how to change your windows update manually. In Important Updates click on Install Updates Automatically (Recommended). Also tick mark on the check boxes mention below your Important Updates. Step 7: After doing all the stuff you can also Set Time & Day when you want your windows to Update windows automatically. Click on Ok & Itâ€™s Done. Now your windows will automatically download updates for your windows when youâ€™ll be online. This way you can keep your Windows up to date and this is probably a number one basic computer tip to follow. In most of the cases we find out that people are not concerned about updating their Windows despite of the fact that Microsoft provides critical security patches in these updates. Further more there are different software updates which helps in better performance as well as efficiency. But above all of these updates, there are different security patches provided by Windows to stop hackers from entering your PC. If you are not updating your Windows, then you are using half of the services provided by Microsoft. So just go through these simple steps and keep your Windows updated for a better user experience. Learning to Control Windows Updates will ensure you have your computer maintained to an optimum level.